It is four years now that Sue Neill-Fraser has been in custody for a murder she vehemently denies and evidence for which is at best circumstantial. 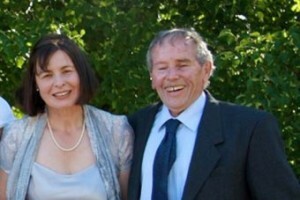 On August 20, 2009, Neill-Fraser was arrested on the charge of murdering her partner of 18 years, Bob Chappell, aboard their jointly owned yacht, Four Winds, anchored in Hobart’s Sandy Bay, on Australia Day 2009. She is helping to grow vegetables in the prison garden at Risdon jail in Hobart, where she will celebrate her 60th birthday on March 3 next year. Her original sentence of 26 years was reduced on appeal to 23. Sarah Bowles, Sue Neill-Fraser’s daughter, says her mother is coping “but she’s living in the belief that she won’t be staying in prison …” Sarah and her sister Emma both visit, both with their months old babies, but the joy of seeing her granddaughters turns bittersweet when it’s time to leave, says Sarah. In the wake of the documentary, Shadow of Doubt, produced by Melbourne psychologist and filmmaker Eve Ash, screened on July 31, 2013 on FOXTEL’s Crime and Investigation Network and also at Hobart’s State Cinema, alarmed lawyers and civil libertarians have joined Neill-Fraser’s family in calling for an independent review of the case. “Mr Ellis, I have never struck anybody, let alone someone I loved dearly,” replied Neill-Fraser. For example, if the assailant thinks, ‘I don’t care whether he dies or not, I’m so angry with him I’m going to hit him on the head with this wrench and that’ll really hurt him’, then that can amount to murder. The prosecution also speculated how Sue Neill-Fraser moved the body (said to weigh 64 kilos) from below decks, up two flights of stairs, then up over the hand railing and over the side, into the bobbing dinghy, with a fire extinguisher attached. And then dumped the body from the dinghy further along the Derwent River. Alone. In the dark of night. The jury was never taken on board Four Winds to see for itself whether the scenario of moving the body in the manner suggested was credible beyond reasonable doubt. But of greater concern, say Neill-Fraser’s supporters, there was no evidence to prove Neill-Fraser did any of those things. In any event, there is no evidence that it was used. It has never been recovered. These are just some of dozens of shadows of doubt that have arisen over Neill-Fraser’s conviction, ranging from police mistakes – like failing to re-interview a homeless girl whose DNA was found on the yacht – to misleading assertions in the courtroom, such as the DPP’s suggestion that Neill-Fraser wilfully ‘tainted’ the crime scene by touching winches the day after Chappell’s disappearance, to show detectives what was out of place. The fact that Neill-Fraser was part owner of and frequent user of the boat – and therefore had her fingerprints all over the winches anyway – seems to have escaped his learned self. Or the hypothesis that her motive was financial; that she wanted to own the boat on her own, without having to buy her 50% share from her partner. This is contradicted by the prosecution’s own argument that after killing Chappell, she had sabotaged the boat herself, so as to hide evidence of her crime. (How? What evidence? Not explained.) The evidence put to the court regarding Neill-Fraser’s financial affairs was that she had her own income from property she owned and she had had a successful business. There was no apparent financial difficulty that needed Chappell’s money to settle. Neill-Fraser’s family has retained lawyer and justice consultant Barbara Etter APM, to help them secure a review, including a Coronial inquiry, obviously with a view to overturning the conviction. Etter, whose 30 years of distinguished police service led to the award of the Australian Police Medal (APM) in the 2008 Honours List, has served with the NSW Police, the NT Police and the WA Police, as well as nationally as Director of the then Australasian Centre for Policing Research in Adelaide; she was recently CEO of the Tasmanian Integrity Commission. Etter is also Adjunct Professor, School of Law and Justice at Edith Cowan University. In the revered tradition of probing documentaries, Shadow of Doubt is as good a piece of investigative journalism as any; thorough, rational, forensically detailed and calm – but damning. The story landed in Ash’s lap. “Sue’s son-in-law, Mark Bowles used to work with me for years,” she says, “after starting out doing work experience back in the 90s. I was always impressed by his integrity, wisdom, values and his annual volunteering at Legacy camps. His girlfriend Sarah was also impressive and a great match for Mark – they married and moved to Tasmania to be closer to her family. Sarah Bowles, Sue Neill-Fraser’s daughter, says Sue’s family believe a judicial review is warranted. “We have requested a Coronial Inquiry and have been waiting since early January 2013 for a response. With the weight of the opinions in the wake of Shadow of Doubt, we are anxious to pursue any and all avenues for an urgent review of this case. My mother has been sitting in jail continuously protesting her innocence but has no voice; this film [Shadow of Doubt] has given her a voice and we want the justice system to hear her. The family would like “people who are concerned about the integrity of our justice system to write to the Tasmanian Attorney-General, insisting on an urgent independent inquiry into this conviction. Even if you believe she is guilty, what great harm is done by reviewing all the evidence properly? Mum is certainly not afraid of that,” says Bowles. How does one go above this appeal process???? The Tasmanian Legal system failed in securing a conviction for the murder of teenager Wesley John Brooks in 1996. How do we fight the appeal process?